...continued from (part 2): The Lobby at Acacia Hotel. 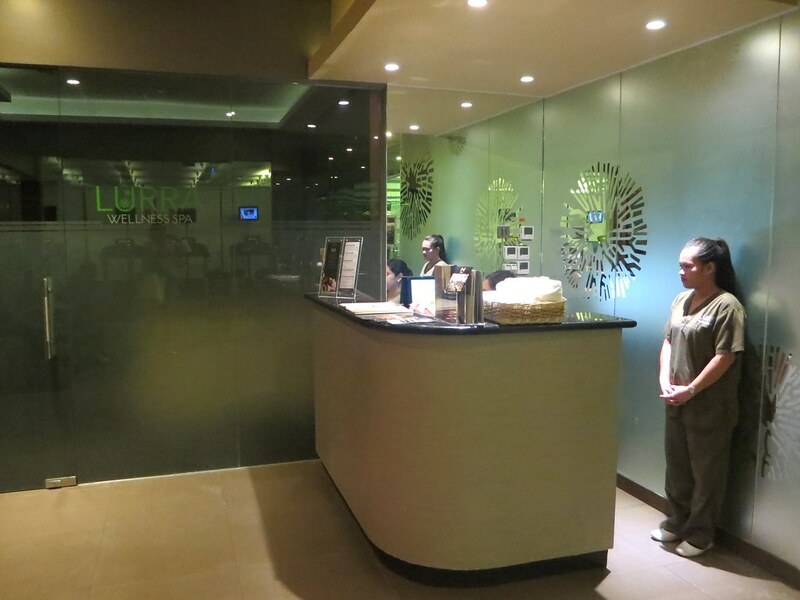 After resting for a bit, T and I go to Lurra Wellness Spa, which is on the same floor as the gym and the swimming pool. 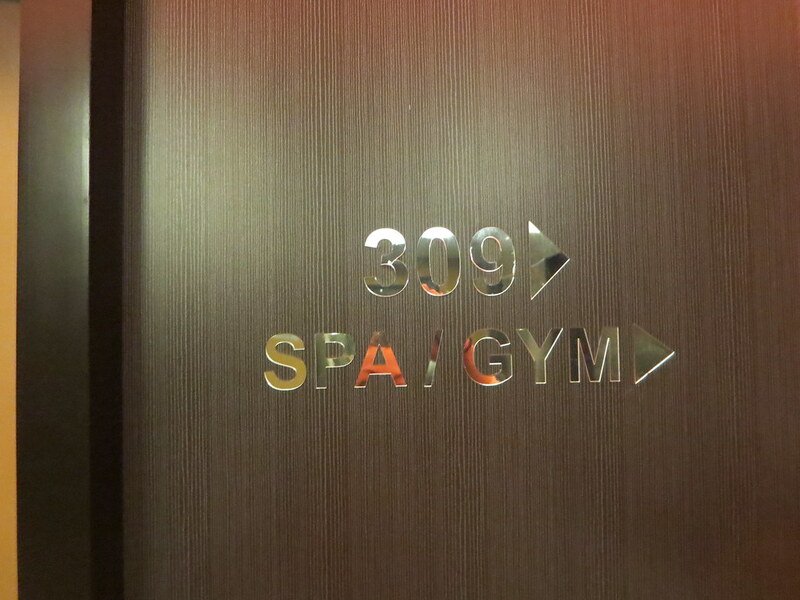 The spa is open daily from 3:30pn to 12midnight, while the in room massage is available until 3am. 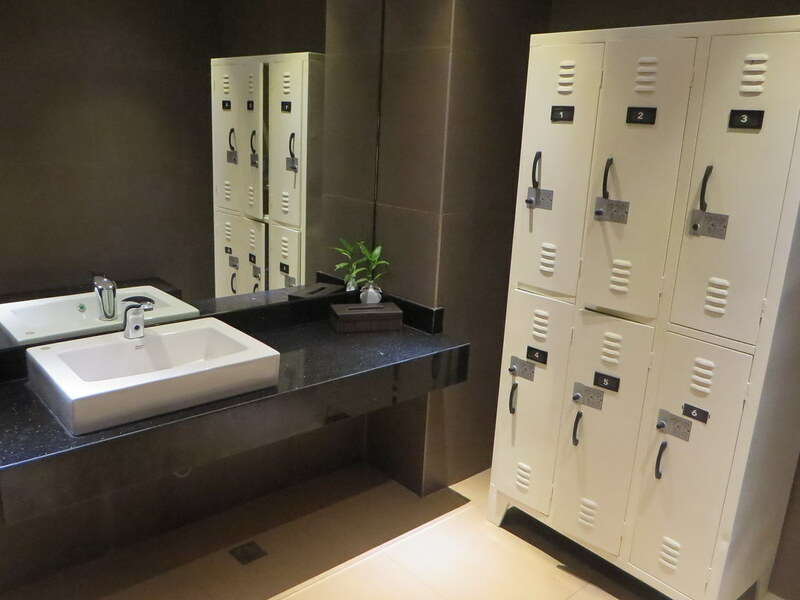 There are lockers for your things as well as shower rooms. 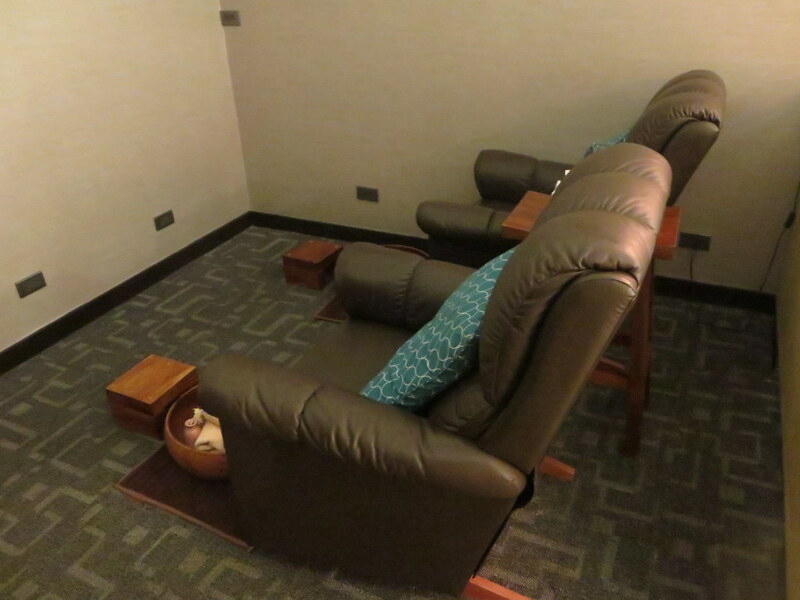 There is an area with spa chairs for treatments such as the Rejuvenating Foot Reflexology (1 hour PhP580 / 30 mins PhP 300) which starts off with a gentle foot scrub followed by a massage to touch the different reflex points which are connected to our internal organs. 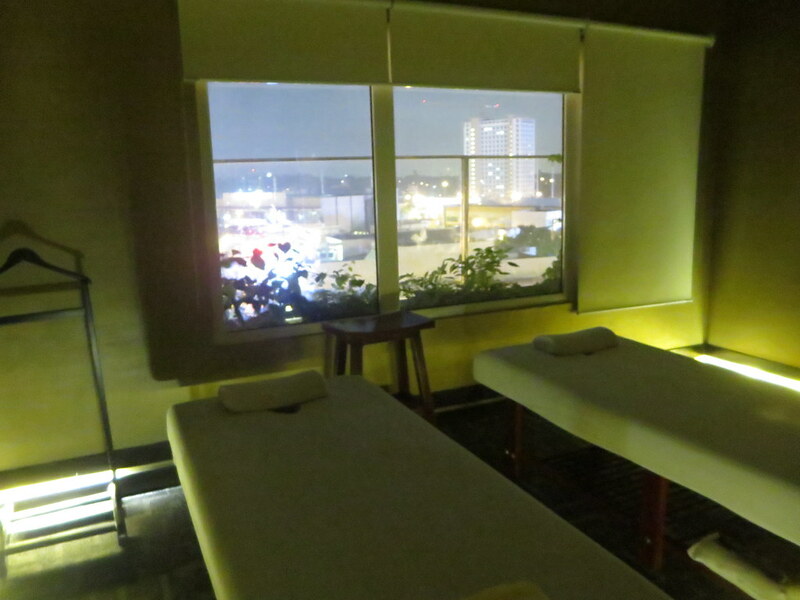 There are also massage rooms such as this private couples room overlooking the city, for full body massages and body scrubs. T and I both choose the Lurra Body Scrub with Back Massage (PhP1,200/$27++) which is a treatment that lasts for one hour and fifteen minutes. It begins with a body scrub using homemade products and is followed by a 30-minute back massage. There are two choices for the body scrub: Sea Salt Body Scrub which removes dead skin cells to bring out younger looking skin for the natural glow (my pick!) and Coffee Scrub which minimizes the appearance of cellulite and aids in evenly toning and exfoliating (T's pick!). After our treatments, T and I feel so relaxed that we just want to go to sleep already. But we try our best to stay awake for the sumptuous dinner prepared for us in A Steakhouse. Acacia Hotel has an anniversary promo for their Aromatherapy Massage. 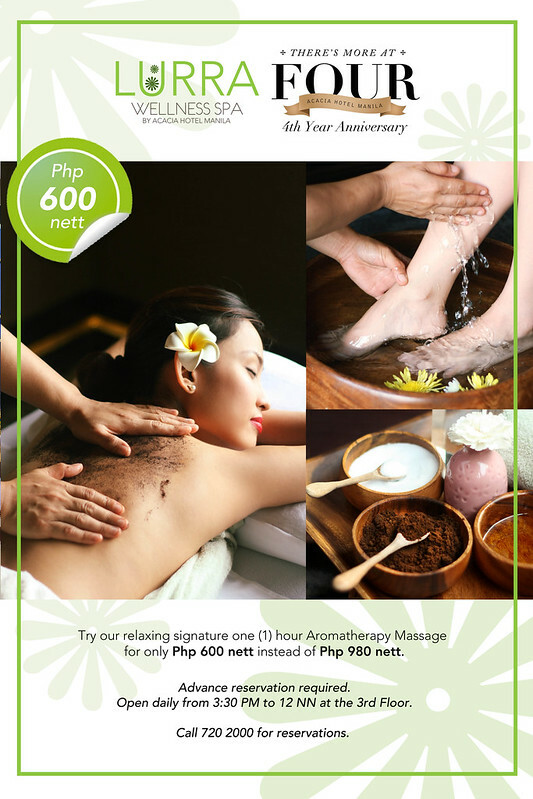 The regular price of the massage is PhP980 but for the month of October, it's only PhP600 nett!